With four different 2019 Chevy Corvette models to choose from, drivers can easily find a sleek sports car that suits their on-road needs. 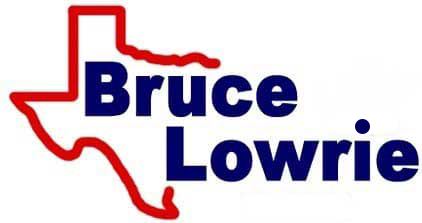 Here at Bruce Lowrie Chevrolet, we tailor shopping experiences so that our customers can enjoy a hassle-free process that includes minimal research time. If you're looking to upgrade your ride to an eye-catching vehicle that doesn't sacrifice safety for performance, visit our new and used Chevrolet dealership in Fort Worth, Texas, today! Model highlights of the 2019 Corvette Stingray include Active Handling, Bi-Xenon headlamps, an available max horsepower rating of 460 and an available max torque rating of 465 pound-feet of torque. If you're looking for an aluminum 6.2-liter V8 engine, a 7-speed manual or 8-speed paddle shift automatic transmission and smartphone integration, head to our new and used car dealership near Arlington, Texas, to learn about the 2019 Chevy Corvette Stingray! With features like Driver Mode Select, a reconfigurable instrument cluster, Head-Up Display, and Performance Data Recorder, it's no wonder new car shoppers browse the 2019 Chevrolet Grand Sport lineup. With a horsepower rating of 460 and 465 pound-feet of torque, this model is the high-performing sports car that you've been waiting for. Upgrade to one of these models to enjoy 4G LTE Wi-Fi connection for up to seven devices, Magnetic Selective Ride Control™ and a 7-speed manual transmission with Active Rev Match, value your trade-in through our secure Chevrolet dealer's website! Step up your driving game with an eye-catching ride that delivers an available 650 horsepower rating with 650 pound-feet of torque, drop by Bruce Lowrie Chevrolet to meet the 2019 Chevy Corvette Z06! This aggressive sports car boasts a supercharged aluminum 6.2-liter V8 engine and an array of trim models for drivers to explore. Learn all about the benefits that come from owning one of these new cars for sale, such as the Weather, Eco, Tour, Sport, and Track modes that are included in the Driver Mode Select system, contact our Chevy dealership that serves Burleson, Texas, drivers. Driving enthusiasts who are looking to stand out from the crowd while enjoying an unparalleled level of power are invited to our dealership to learn more about the available 2019 Chevrolet Corvette ZR1. This supercar treats motorists to a horsepower rating of 755 when properly equipped, as well as 715 pound-feet of torque. With a top track speed of 212 MPH, this new car is a force to be reckoned with. If you're interested in securing one of these models so that you can enjoy a four-mode exhaust system that offers Track, Sport, Tour, and Stealth profiles, but would first like to learn about your auto loan options, complete one of our Chevrolet credit applications now! Secure the commanding sports car that you deserve, shop our Bruce Lowrie Chevrolet 2019 Corvette inventory today!